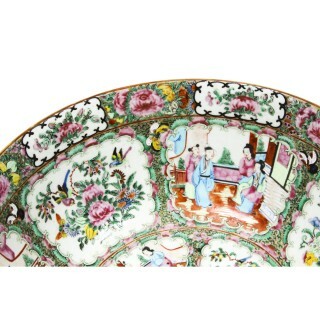 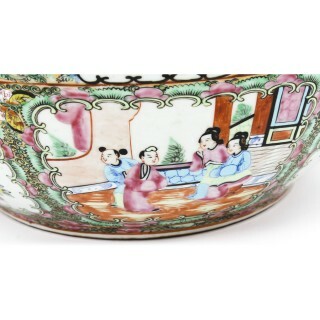 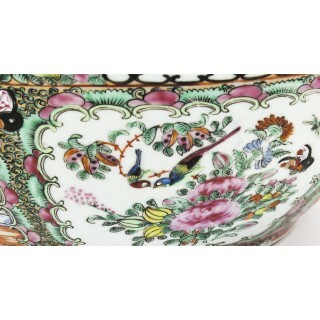 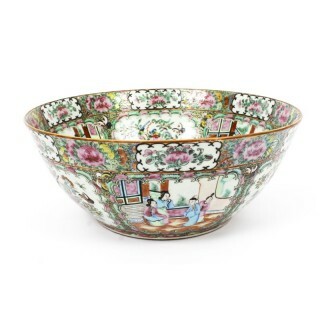 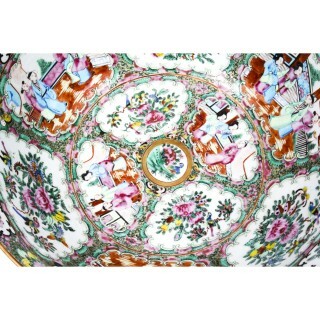 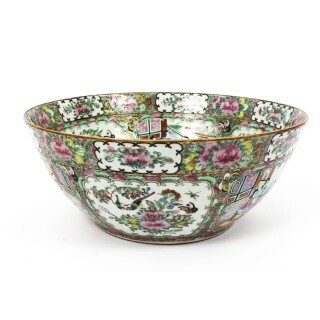 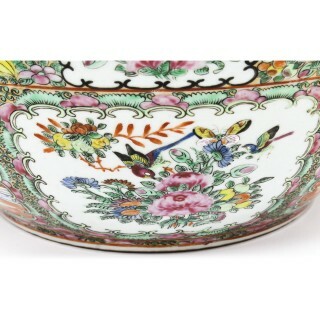 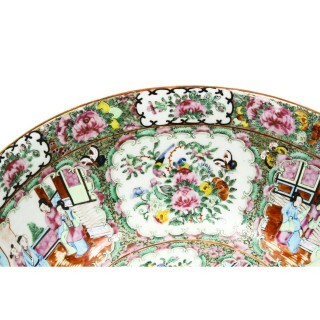 A large beautiful Chinese export Canton-Famille Rose centre bowl, dating from circa 1850. 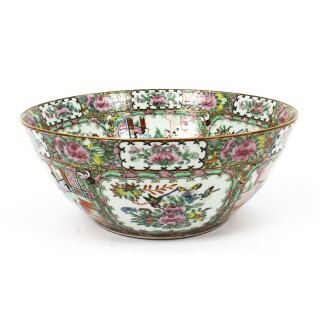 The bowl features a Rose Medallion pattern, the exterior and interior enamelled with panels of court figures and butterflies, birds and flowers within key fret and dense foliate border. 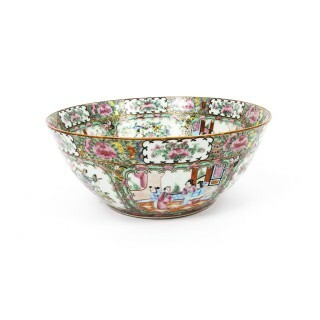 Instil a certain elegance to a special place in your home with this fabulous bowl. 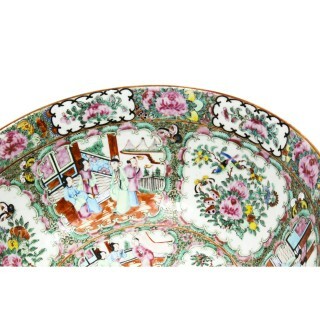 In excellent condition with no chips, cracks or signs of repair, please see photos for confirmation of condition. 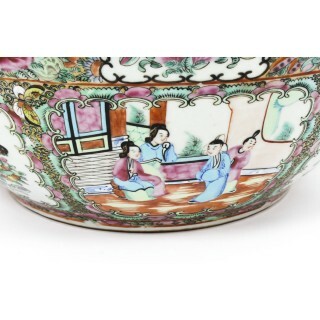 Canton or Cantonese porcelain is the characteristic style of ceramic ware decorated in Guangzhou, the capital of Guangdong and (prior to 1842) the sole legal port for export of Chinese goods to Europe. 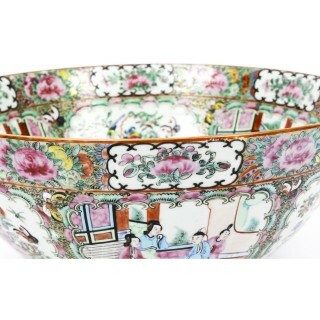 As such, it was one of the major forms of export ware produced in China in the 18th and 20th centuries. 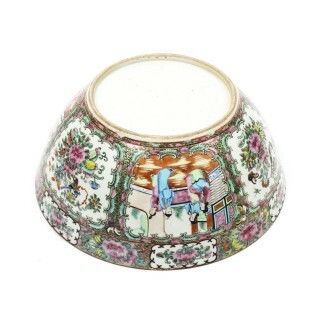 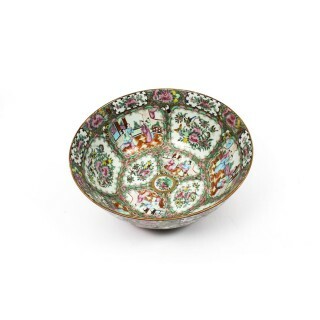 Typically, the export ware was made, glazed, and fired at Jingdezhen but decorated with enamels in Guangzhou (then usually romanised as Canton) for export to the west via the Thirteen Factories of the Canton System. 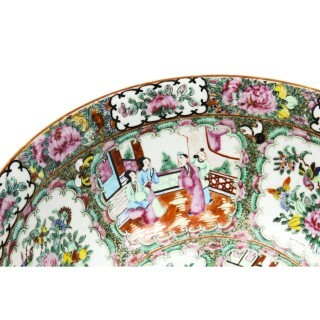 Canton Famille rose in the 19th century was typically decorated with alternate panels of figures and birds, flowers and insects, predominantly in pink and green. 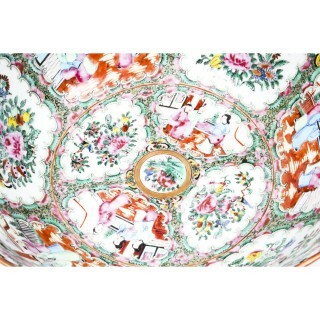 Please note that we are also open on alternate Saturdays. 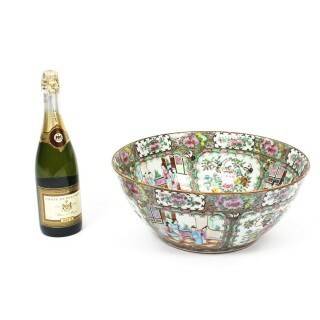 Please call to confirm.